The primary necessity to be a successful duck hunter is to find ducks to shoot. Setting up in a place they frequent is often not enough – sometimes you need find a way to call them in to your location. And for that, you need a duck call. 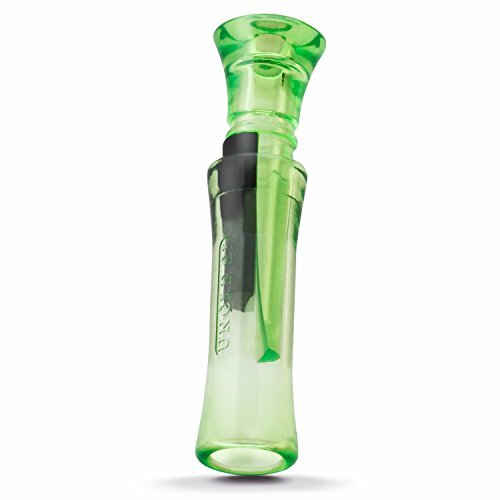 A duck call is a hollow cylinder, usually made out of plastic or wood, that is blown through to attract nearby ducks. 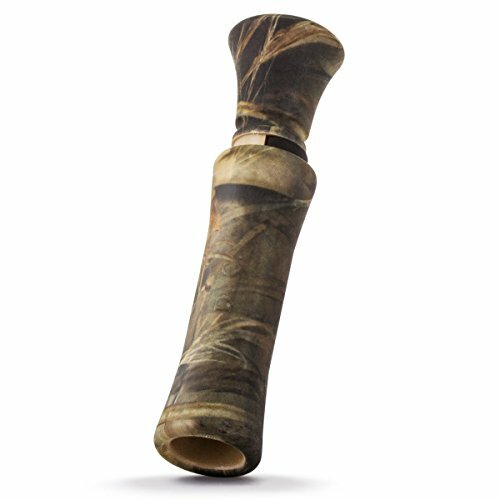 Duck calls can come in universal forms that allow you to call a wide range of ducks, or specific calls to focus in on a specific tone for a duck call. It doesn’t matter whether you are hunting for Mallard ducks or Northern Pintail – there is a duck call to help you with your hunt. 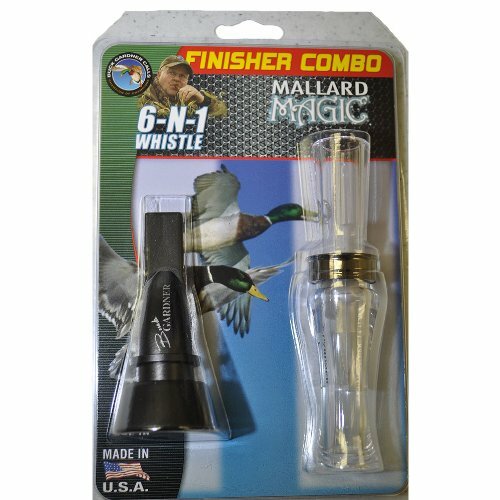 Single reed duck calls are much easier to use for beginners, but can only produce a limited range of sound. Two or three reed duck calls allow for a wider range of tone and pitch to allow you to attract your duck of choice easier, but may have a bit more of a learning curve to them. In case you are in a hurry, our choice for the Best Duck Call is the DUCK COMMANDER Camo Max. Your average duck call Is a tube-like object which holds a reed that vibrates to produce the same frequency call as a duck. Duck calls are different than a goose call, as they require a slight buzzing and vibrating noise that comes from a reeded design in order to help attract specific types of ducks. Compared to some other calls on the market, duck calls do take a bit of time to perfect, and they’re also less durable and other calls due to the fickle design of the internal reed. This means that you want to do your research when investing in a high-quality duck call to make sure that it will last for years to come. Most duck calls are made to last a fairly long time in intense environments, such as out on the field during your hunting trip, but should be cared for properly to ensure that they perform at their top ability. A good duck call will be easy to use, but also produce an accurate sound every time. 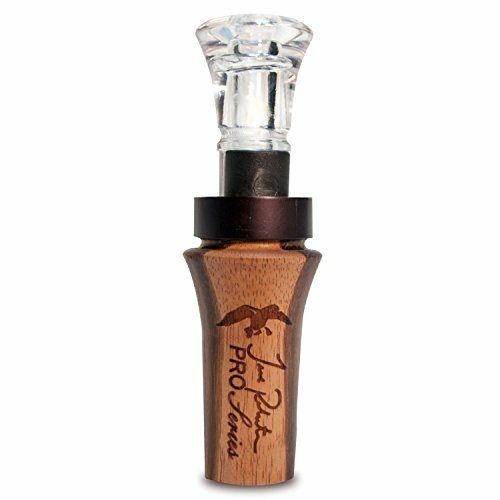 While part of the call sound produced by a duck call is up to the hunter, it is important that your duck call produce a consistent reed sound in order to ensure that you can always attract the right kind of duck. Nothing is more frustrating than trying to operate a faulty duck call only to see your target fly away. Both plastic and wooden duck calls have their advantages and disadvantages. While plastic duck calls are more durable, their sound can often have a bit of an odd quality to it, making them not necessarily ideal when it comes to mimicking a specific duck call. On the other hand, wooden duck calls are on the fragile side, as they can be damaged by prolonged exposure to moisture as well as may end up having their main cylinder crack under pressure. If you find yourself often hunting a very specific kind of duck, investing in a high-quality wooden duck call may be the best for you. However, if you are looking for a more general, beginner duck call, plastic duck calls come in a wide variety of shapes, sizes, and intended ducks call sounds to allow you to practice without a large startup price. Here are some of our top picks for both plastic and wooden duck calls in a wide range of styles, from your standard Mallard call to more specialized call ranges.